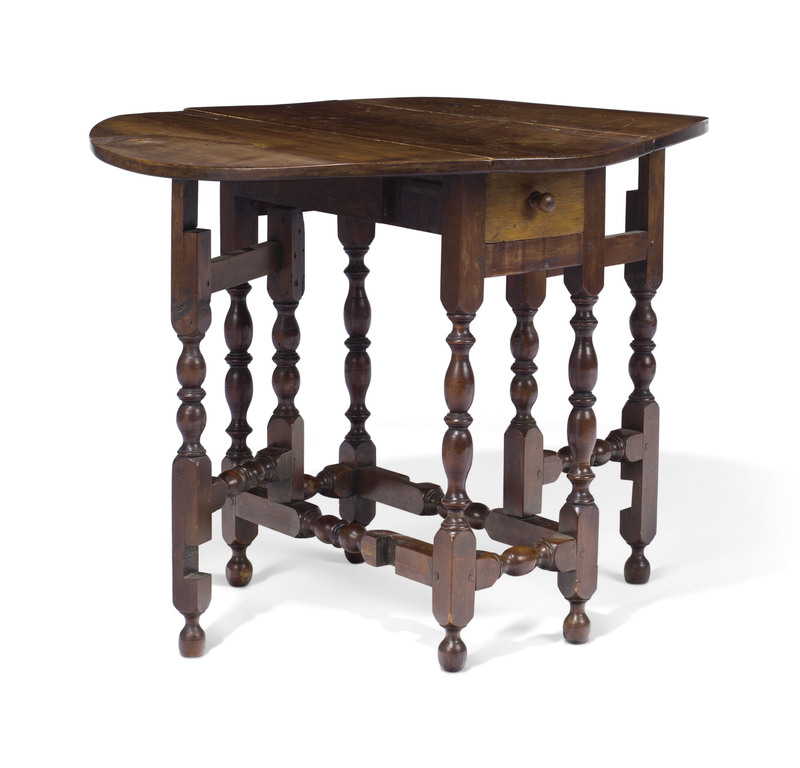 Displaying exceptional height in its feet and an old surface, this gate-leg table is an outstanding survival of the form. The well-proportioned, bilaterally symmetrical baluster turnings are typical of Massachusetts design of the early eighteenth century, but the presence of chestnut secondary woods raises the possibility that it was made in Rhode Island. Several related tables with similar turnings are recorded in the Rhode Island Furniture Archive that are noted to have been made in Massachusetts or Rhode Island (see The Rhode Island Furniture Archive at the Yale University Art Gallery, RIF921, RIF4499, RIF4624, RIF6235). For a virtually identical example, see Israel Sack, Inc., American Antiques from Israel Sack, vol. 8, p. 2186, P5656 (lower image).